Note: Urban stormwater runoff includes areas both outside and within the NPDES stormwater permit program. Figure 2-23 Urban nonpoint loading of BOD5 ca. 1995 by catalog unit (metric tons per day). 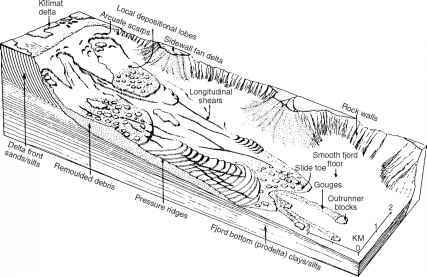 Source: Bondelid et al., 2000. Figure 2-24 Urban nonpoint component of total point and nonpoint source loading of BOD, ca. 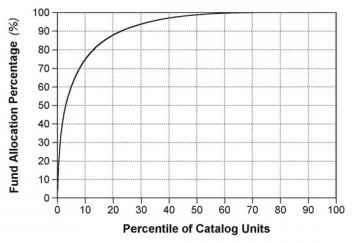 1995 by catalog unit (percent of total). Source: Bondelid et al., 2000. Figure 2-25 Rural nonpoint loading of BOD5 ca. 1995 by catalog unit (metric tons per day). Source: Bondelid et al., 2000. Figure 2-26 Rural nonpoint component of total point and nonpoint source loading of BOD5 ca. 1995 by catalog unit ou (percent of total). Source: Bondelid et al., 2000.
to policy for water pollution control. Following the 1956 Amendments, however, federal funding ($5.1 billion allotted from 1957 to 1972) accounted for only a small portion of the total construction costs for municipal facilities (FWPCA, 1970). The CWA made it a national policy to provide federal grants to assist in the upgrade and construction of municipal wastewater facilities. The 1972 act authorized $5.0 billion in federal spending for fiscal year 1973, $6.0 billion for fiscal year 1974, and $7.0 billion for fiscal year 1975. Under the revamped Construction Grants Program, the federal share was 75 percent of cost from fiscal years l973 to l983, and 55 percent thereafter. USEPA's Grants Information and Control System (GICS) database is the central repository of Construction Grants Program data. For the following financial analysis, grant awards in the GICS database were indexed to constant 1995 dollars using the Chemical Engineering Plant Cost Index (CE, 1995) for the purpose of providing a suitable indicator of the inflation of wastewater treatment facility construction costs. National Summary During the 29-year period from 1970 to 1999, the Construction Grants Program distributed a total of $61.1 billion in federal contributions ($96.5 billion as constant 1995 dollars) to municipalities for new construction and upgrades of POTWs to secondary and greater levels of wastewater treatment (Figure 2-27). An additional $16.1 billion (capitalization) in federal contributions was also distributed to the states through the Clean Water State Revolving Fund (CWSRF) Program from 1988 through 1999 (Figure 2-27). Additional state match, state-leveraged bonds, loan repayments, and fund earnings increased CWSRF assets by $18.4 billion. Since 1988, therefore, the CWSRF loan program assets have grown to over $30 billion, and they are funding about $3 billion in water quality projects each year. Figure 2-28 presents the cumulative distribution of the GICS funding awards (total $59.2 billion) as a percentile of the 2,111 catalog units within the contiguous 48 states. Twenty percent of the catalog units account for about 88 percent of the funding. There is also a relationship between the municipal BOD5 loading rate (ca. 1995) and the Construction Grants award allocated to each catalog unit. Increased municipal loading rates related to larger facilities resulted in increased grant awards from the Construction Grants Program (Figure 2-29). 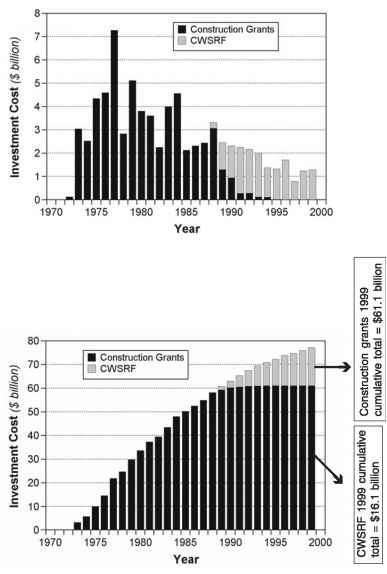 Figure 2-27 Annual funding provided by USEPA's Construction Grants and CWSRF programs to local municipalities for improvements in water pollution control infrastructure as (a) annual allotments for each program and (b) cumulative funding from both programs from 1970 to 1999. Source: USEPA GICS database and CWSRF Program. Figure 2-28 Cumulative funding of Construction Grants Program awards as a percentile of 2,111 catalog units. Source: USEPA GICS and Reach File Version 1 (RF1) databases.